Driving home from my weekend in Peoria at my sister’s proved to be quite a challenge last Monday. When I hit Iowa City, Interstate 80 turned into an icy washboard with bumper to bumper trucks driving 2o mph. I learned how to drive on snowy roads in northern Illinois and just couldn’t see any reason to be going so slow, so I headed off to the north to take the country roads and was rewarded with some beautiful scenery. 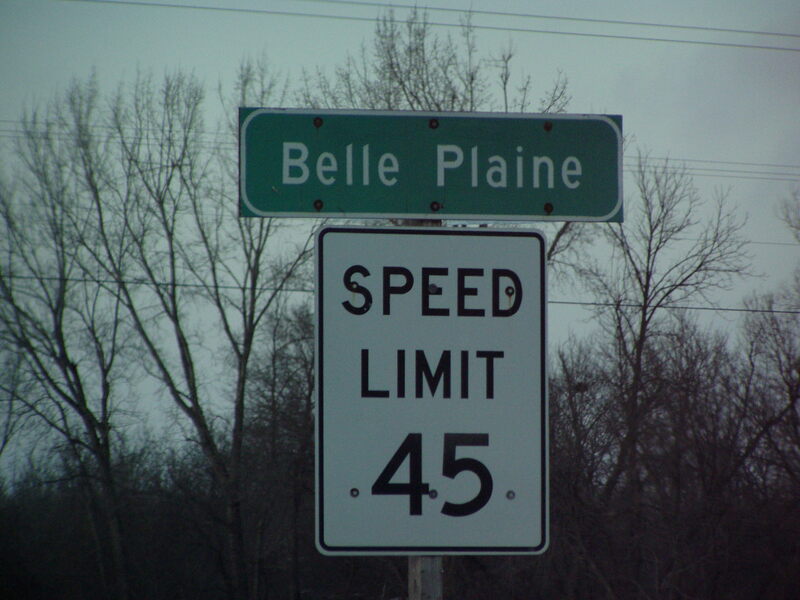 I also got to check off something on my life list: visit the town of Belle Plaine. I love the area on I80 around the exits for Belle Plaine and What Cheer and have wanted to see these Iowa towns ever since I first drove to Ames from Indiana. The farmland here is so sensuously rolling, dotted with grazing cows and sculpted with contour farming. 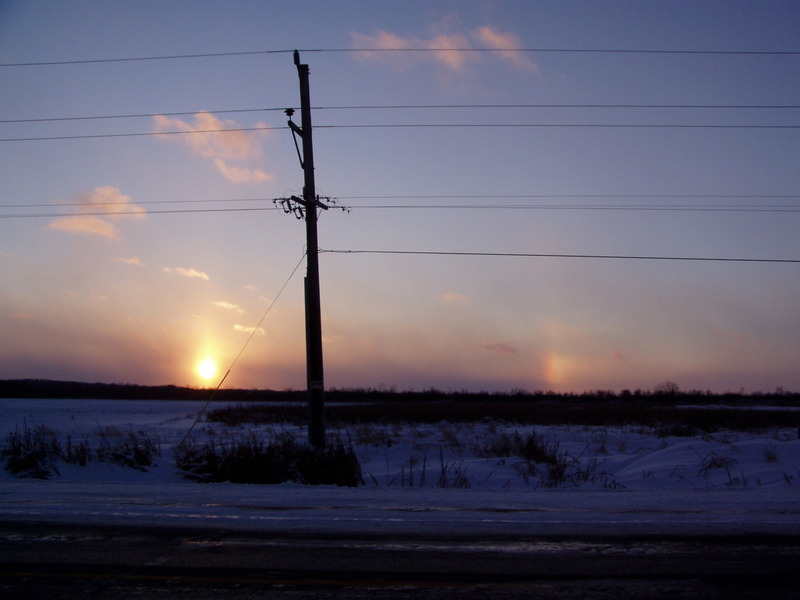 Not far from Belle Plaine, I even saw a winter rainbow to the side of the setting sun! 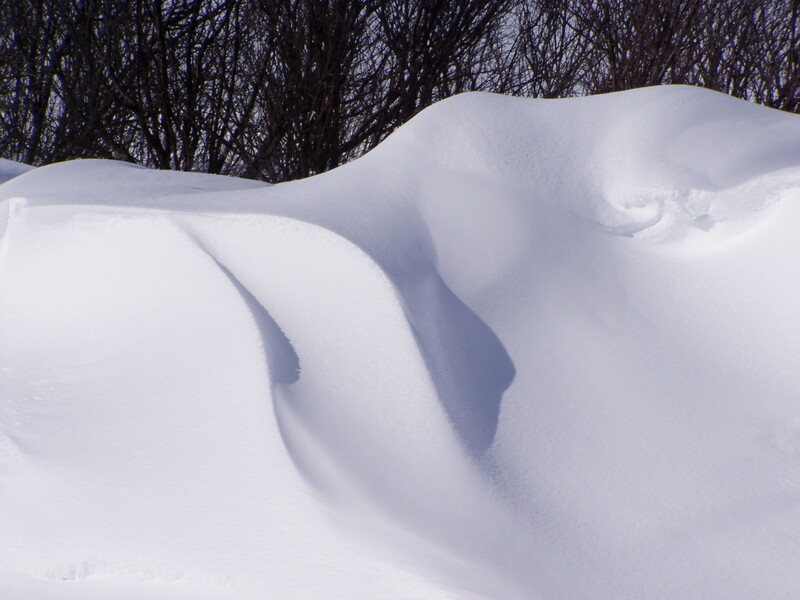 What pretty snowbanks… thanks for helping me focus on the pretty. Otherwise, I’d be overwhelmed with the gloom. Ugh. My Mom was telling me my Grandma can’t get out her front door now… has to crawl out the dining room window. And that, at 76! If only I am so spry at that age.